Cottontail Nursery School offers mindful childcare inspired by Waldorf Education and Lifeways. This wonderful, licensed, home-based program was created by two experienced teachers with a vision for a preschool that honors each child as he or she is led in purposeful activity, given plenty of space for play and exploration, and encouraged and assisted in building healthy relationships. With a mixed age-group of children from 3 months to 6 years old we are more than daycare. Our days are filled with music, magical stories, quality art materials, wholesome, unprocessed foods, rich sensory experiences, furry friends, and plenty of patience and love. We are located in Lafayette, Colorado; easily accessible to families in Boulder, Louisville, Superior, Erie, Longmont, Broomfield and Westminster. Rachel is a Colorado native with a BA from Kenyon College in Art and Art History, and an MA in Educational Psychology from CU. She has taught in a number of different arenas and holds a Colorado teaching certificate in Art (k-12), and is endorsed in Elementary and Early Childhood Education. She spent one year at Sunbridge College, the Waldorf Teachers' College in New York, and is a graduate of Lifeways, a Waldorf influenced program addressing Early Childhood Education. Her first Kindergarten Class is entering High School this fall! Rachel is the mother of two sons and a daughter, and is happily married to Ryan, her college sweetheart. Gabriella grew up in the northern part of Sweden, raised with respect for nature and an active outdoor life. She is a passionate skier, loves hiking and sailing, and has traveled the world. Gabriella did her teacher training at Stockholm's University where she lived and taught for many years before moving to San Francisco in 1989. In California she became a mother to her son Christopher, now 28 years old. She also became a message therapist and started a Swedish School. In 1997 she and her son came to Boulder where she taught at Boulder Valley Waldorf School, Shining Mountain, and Blue Sky Kindergarten before coming to Cottontail in 2016. Gabriella is also a wonderful local artist, and designs Nordic Folk Art using natural fibers. Cyndi has an Associate's Degree as well as a Certificate in Waldorf Early Childhood Education. She helped to develop the After Care Program at The Denver Waldorf School and worked in the program from 1997-2004. 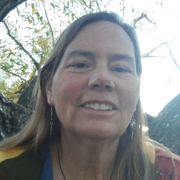 Cyndi was the Director of the After Care Program from 2004-2005 and was a Lead Assistant in Preschool and Kindergarten at The Denver Waldorf School from 2005-2017. She has worked with children in some capacity since she was 19 years old and loves her work. The children call her "Miss Cyndi". 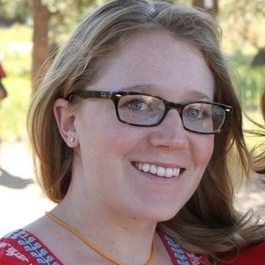 Liz grew up in Colorado and received a BA in anthropology from CU Boulder. 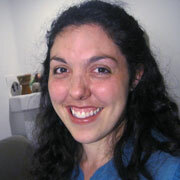 She is a certified Early Childhood Teacher in Colorado and completed her Lifeways training in 2012. Liz has worked in various Waldorf preschools and Kindergartens for the past 6 years teaching children 16 months to 6 years old. Liz loves to watch the children grow and learn throughout the year and enjoys bringing her love of cooking to the classroom baking, preparing snacks and festival treats with the children through the year. She lives in Lafayette with her partner Mack and their two sons.